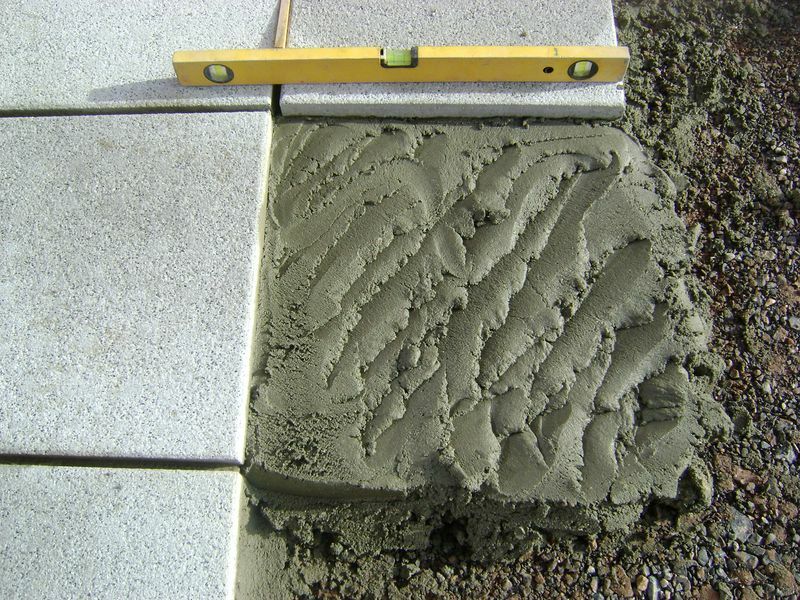 The contents of this page shows how to install patios, garden paving, paving slabs, paving stones, patio, stone paving, paving stone, patio stone, patio stones, concrete slabs, slabs, flagstones in Devon. 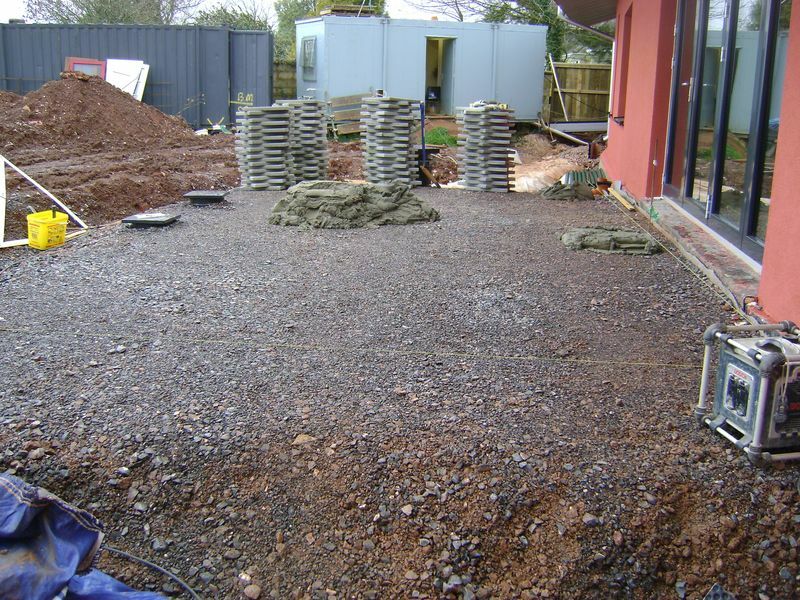 THIS PROJECT IS UNDER PERMEABLE DRIVEWAY CONSTRUCTION, CLICK HERE TO VIEW SITE PLANS, BEFORE AND DAY 1 IMAGES. 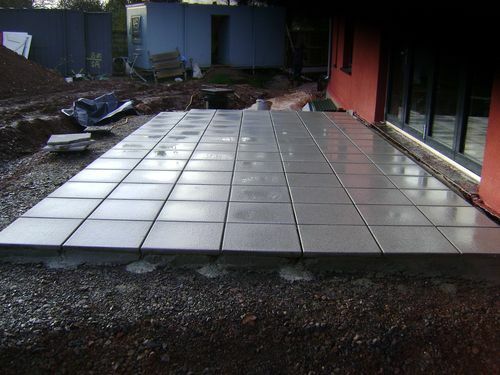 The 450×450 Tobermore Mayfair silver patio paving slabs are walked through the passive house and loaded out on the edge of the proposed garden patio area. 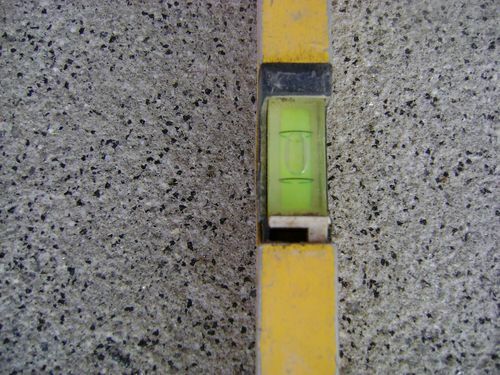 The pins and string lines are installed to the correct heights, falls and levels for water runoff. 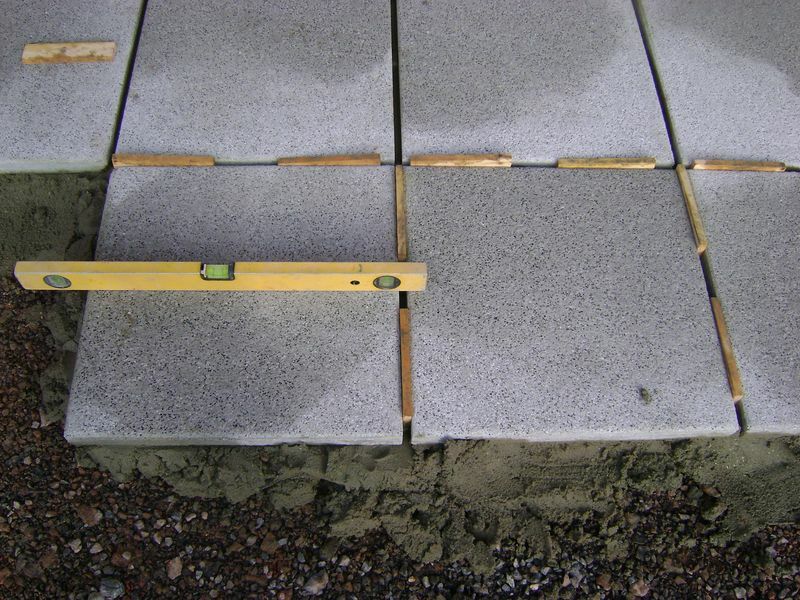 The patio paving slabs are laid of a full bed of mortar, we never use the 5 spot system as this will lead to problems later as this procedure is unprofessional and not durable. All paving stones and spaced with a 10mm wooden spacer, this ensures the perfect sized spacing that I require for this project. 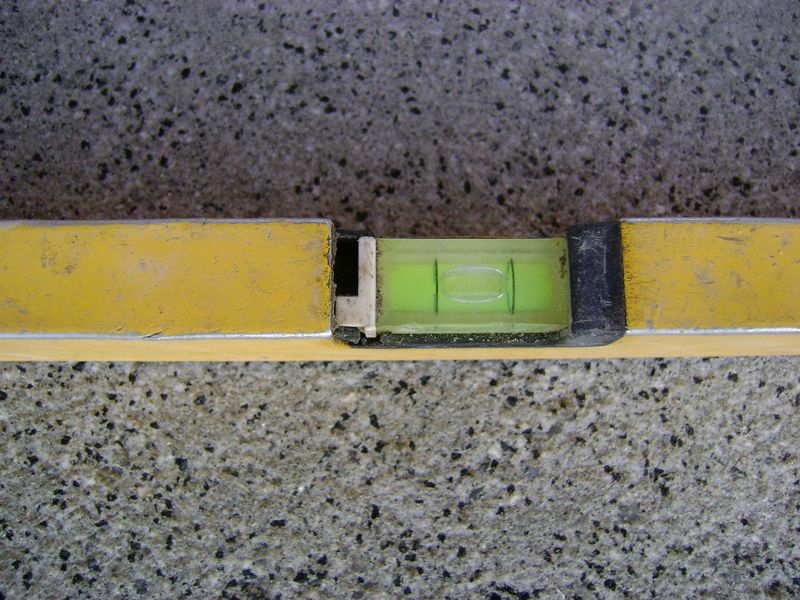 The entire paving is completely level, you wouldn’t want your glass of wine sliding off your patio table now would you?, every paving installed is leveled with a spirit level and not by eye. For this project the slightest fall on the paving is required, this assists with the runoff of rain water into the soft landscaping. The entire paving is scrubbed and hosed down with clean water ready for the pointing compound.